Welcome to Day #17 of Chocolate and Spice Theme Week. 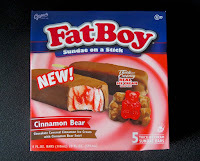 Today's Fat Boy Cinnamon Bear Sundae—a chocolate covered cinnamon ice cream (with cinnamon bear swirl) bar on a stick—was from Casper's Ice Cream (Richmond, UT), a large family-owned business that makes ice cream and frozen treats. We are nothing if not creative. 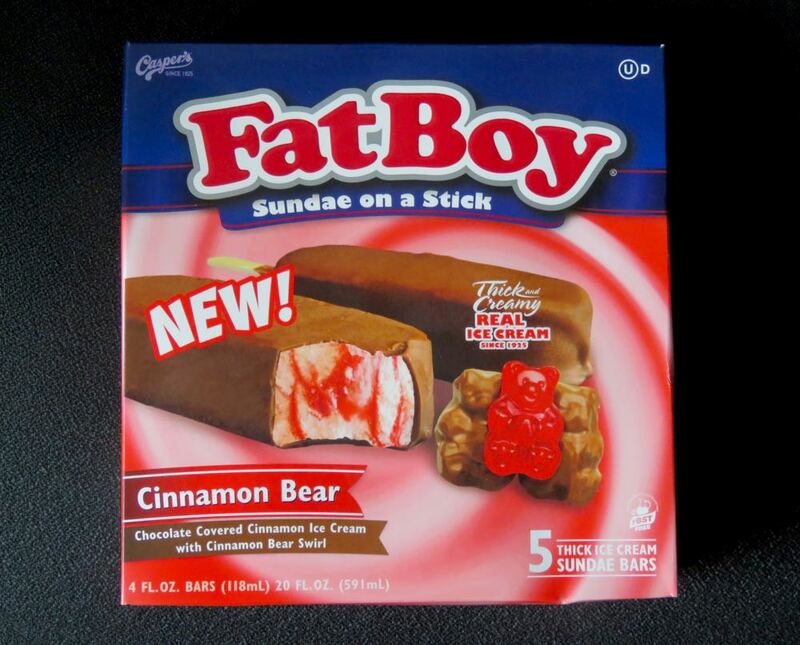 Americans have found many ways to shove edible items onto a stick. 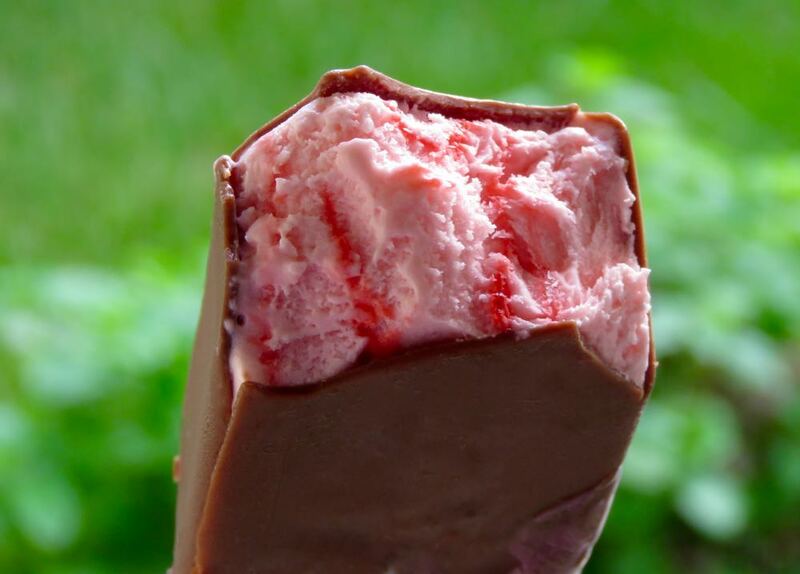 This includes a wide range of tasty frozen dessert items. *Red Hots are cinnamon-flavored red candies (sometimes called cinnamon imperials) produced by the Ferrara Pan Candy Company (Oakbrood Terrace, IL). Many similar candies are flavored with a substance found in cinnamon bark that gives the candy a slightly hot (spicy) flavor.